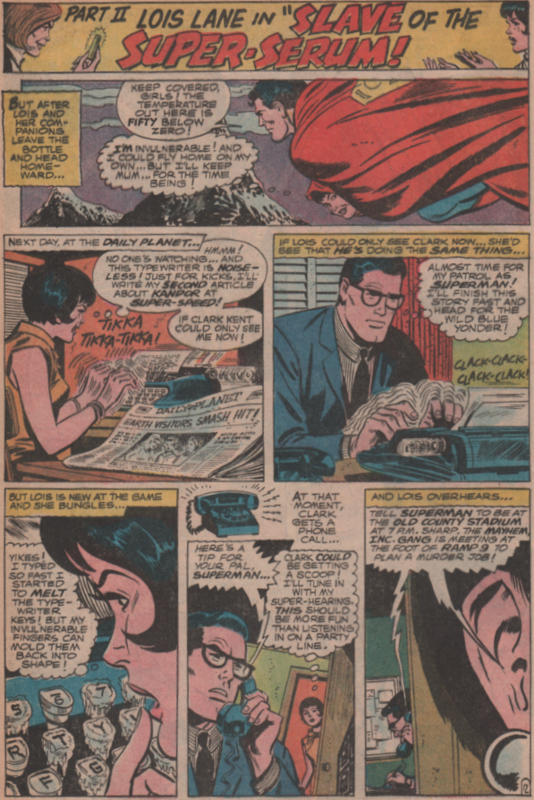 Lois Lane | Magazines and Monsters! 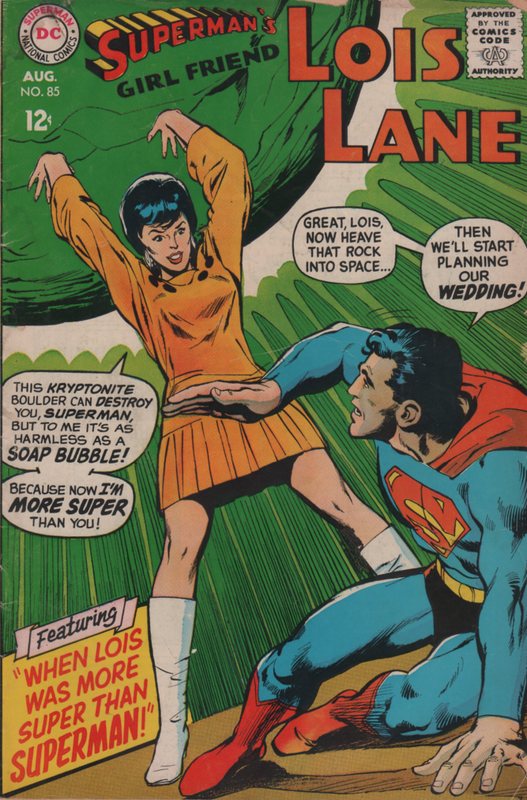 All I needed to see was Lois Lane gets super powers, the bottle city of Kandor, and a mutant breed of toy-size ponies! Yes that’s all it takes. It’s the simple, crazy things in life that are amusing, and never lose their humor. Silver Age comics (especially DC), are a wonderland of humorous tales that is never-ending. Superman is probably the best example of this trend. It took quite a long time for DC to turn towards some more serious stories, but the material presented here might not be Alan Moore’s Swamp Thing, but it’s a ton of fun. 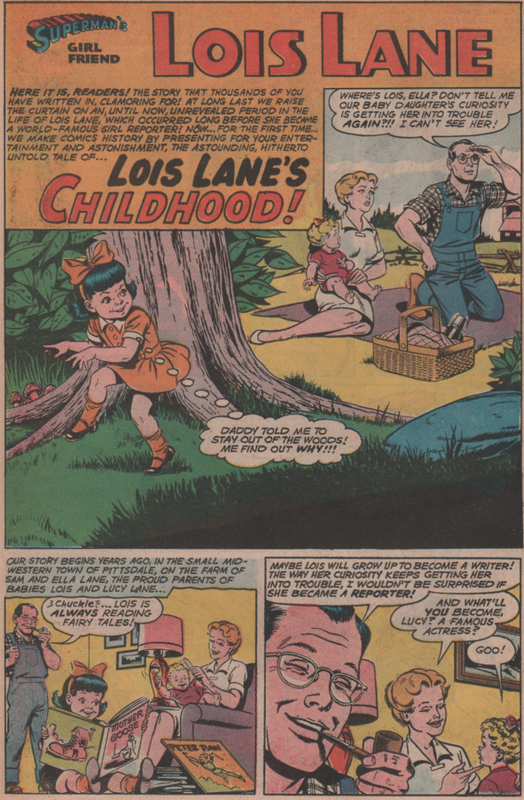 And, as if the main story wasn’t ludicrous enough, we get a back up story about Lois as a toddler, getting into shenanigans. Yes, chasing a snake, “driving” a car, etc., you get the drift. A book with two insane tales, and lots of laughter. The dialogue in the first story is especially entertaining. The book is Silver Age DC comics personified. 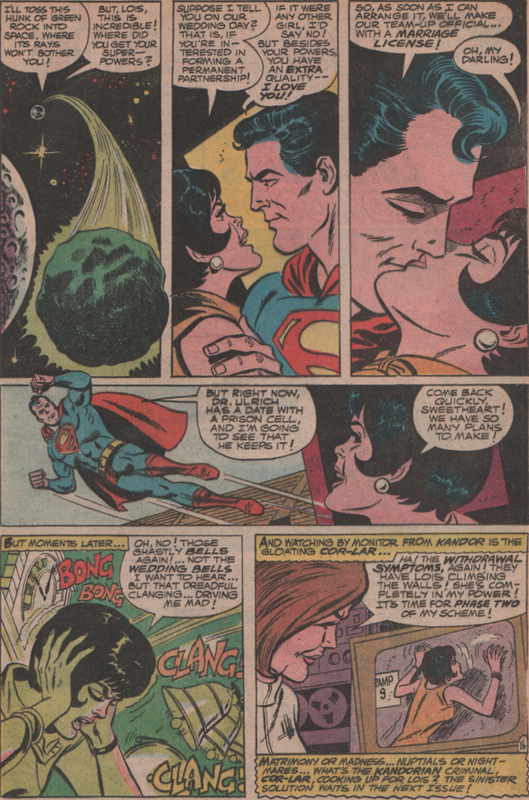 The cover is by Neal Adams, who was very prevalent at DC in the late Silver and Bronze Ages. 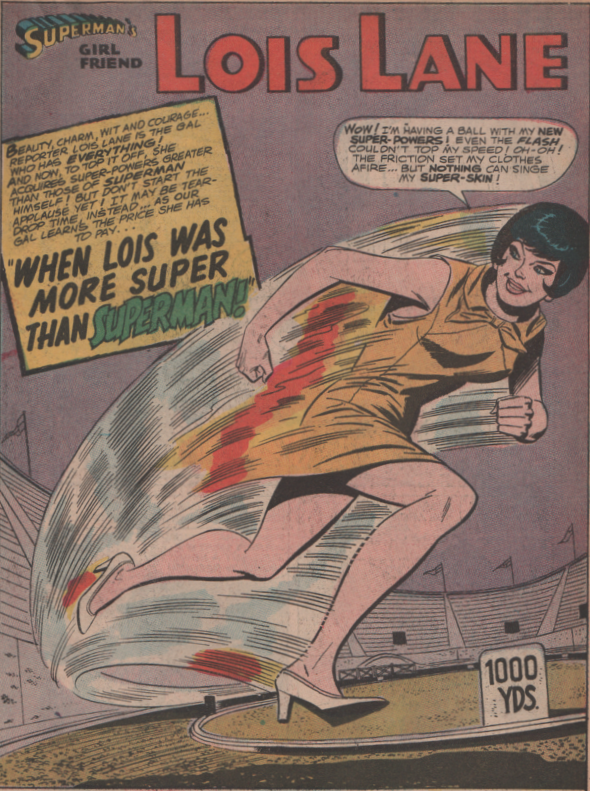 Moving inside, we get both parts of the Super-Lois story from Leo Dorfman, who also wrote for Dell, Gold Key, and Fawcett. The guy wrote a ton of Superman stories during this era. 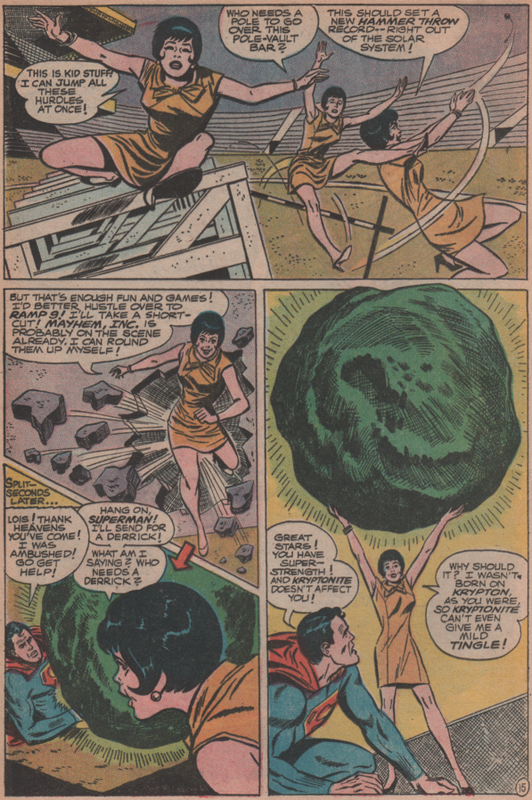 The artwork is by Irv Novick (pencils) and Mike Esposito (inks). Both men give us a quality job for sure (as you’ll see) in both parts. 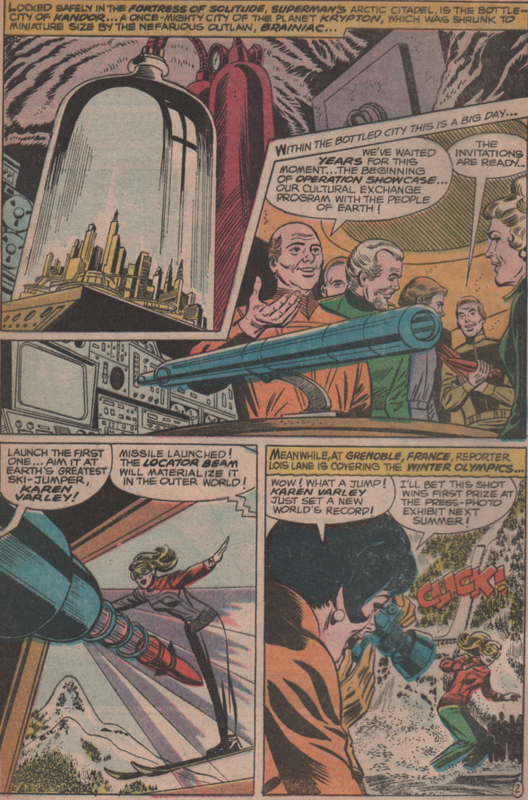 Lastly, we see the back up story created by two giants in Jerry Siegel (writer) and Kurt Schaffenberger (art)!